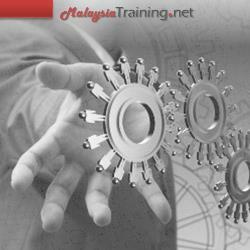 The training is designed for Managers, Engineers from Production, Quality & Process Engineering. It is highly recommended that key staff in your organization be involved in this program. After attending the 2-day Total Quality Management (TQM) training, participants should be able to know why Total Quality Management is essential in the Organization. They will also be able to use proven methodologies to solve of their verbal / opinion data and in making sound decisions. Their skill to handle and implement Quality Systems would be enhanced with effective training techniques. Actively involve every function and every employee in satisfying customers' needs, both internal and external. Be enlightened that TQM and Customer is at the center of every activity. Get involve of everybody in quality improvement. Maintain achievement and continuous improvement through participative problem-solving projects. TQM Guru's and Principles - Juran, Crosby, Ishikawa, etc.